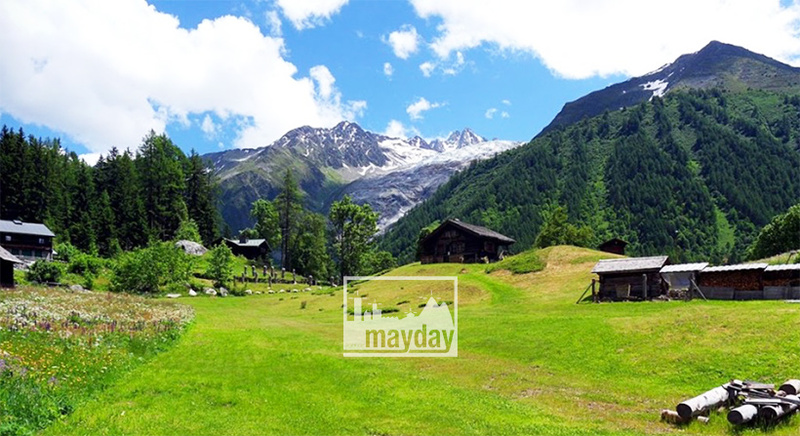 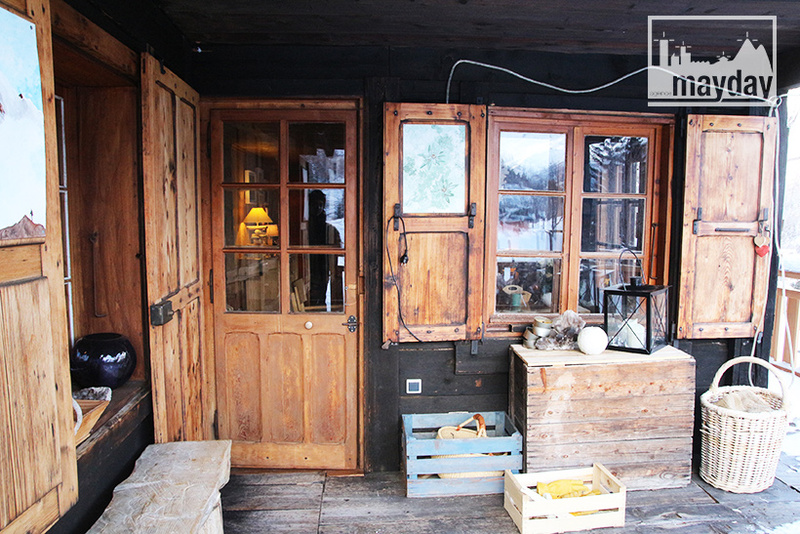 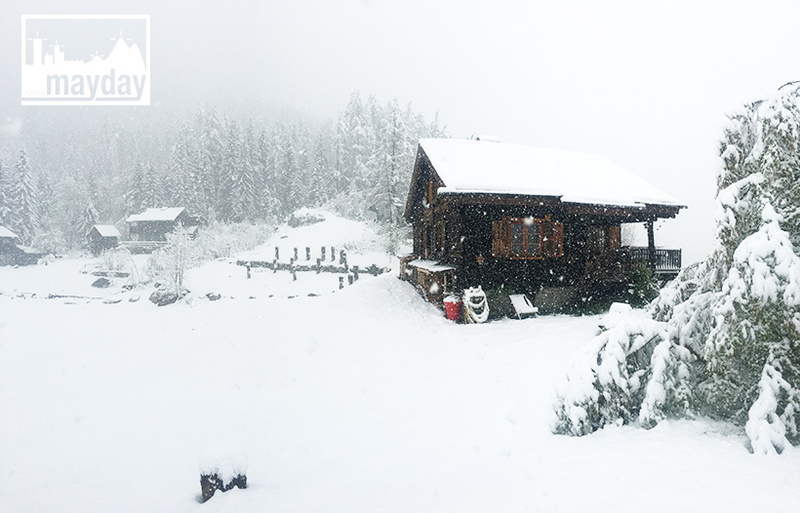 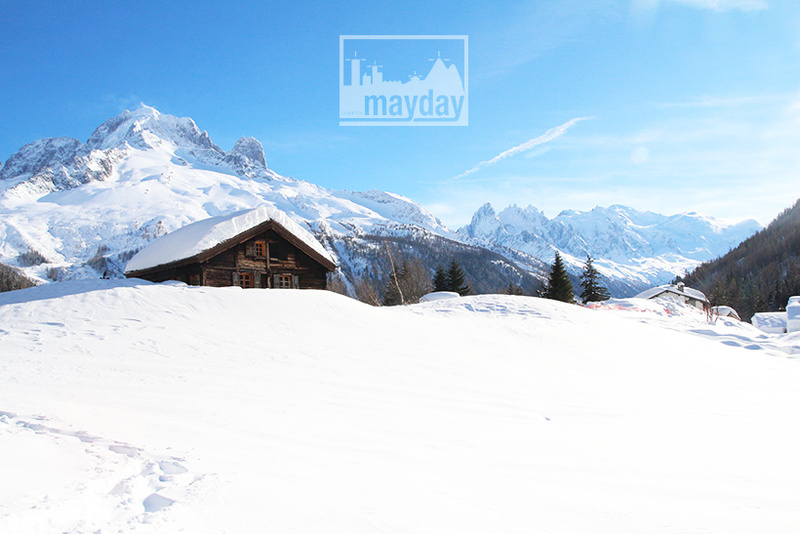 The pastoral chalet, Chamonix (men0106) | Agence Mayday, scouting agency | Best location for your project concerning : feature films, TV, commercials, promos, photo shoot & events. 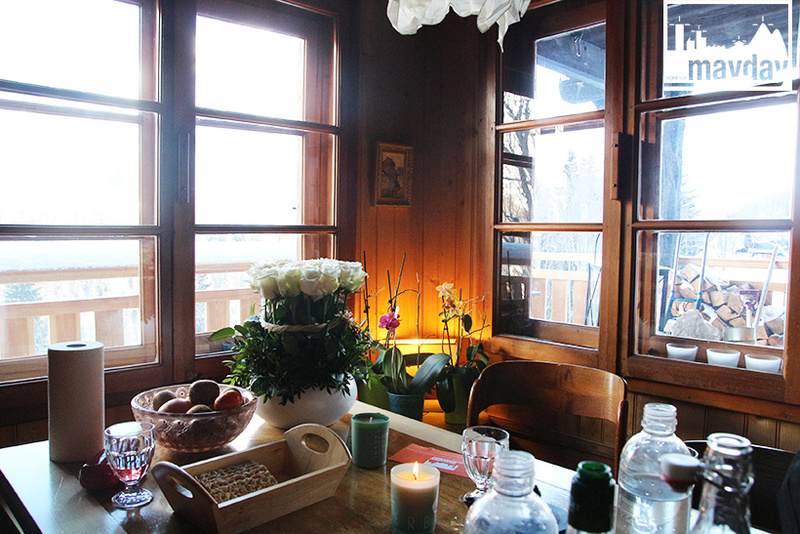 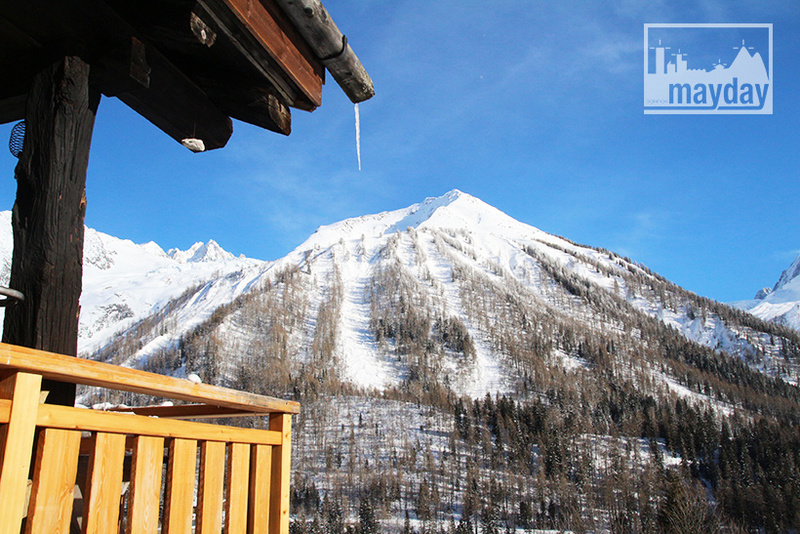 Charming bucolic 80 sqm chalet with an astoning landscape view over the mountains near the Mont-Blanc. 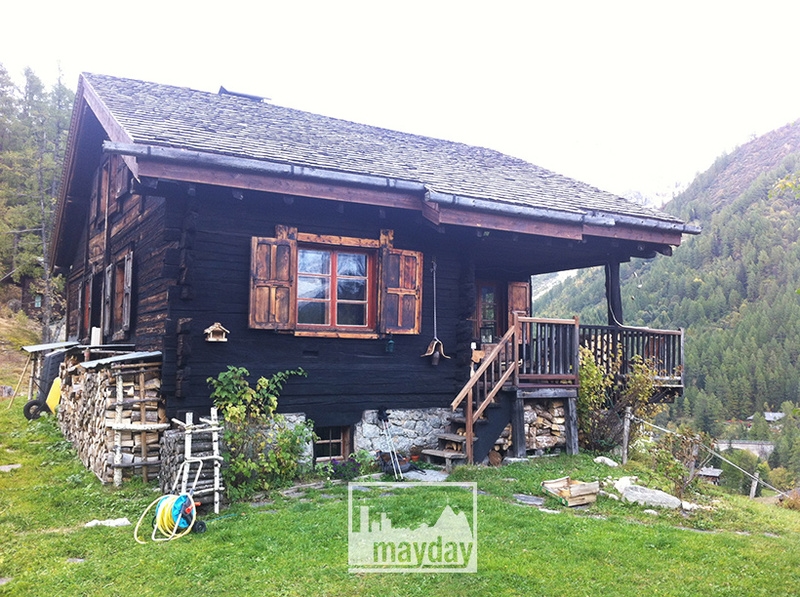 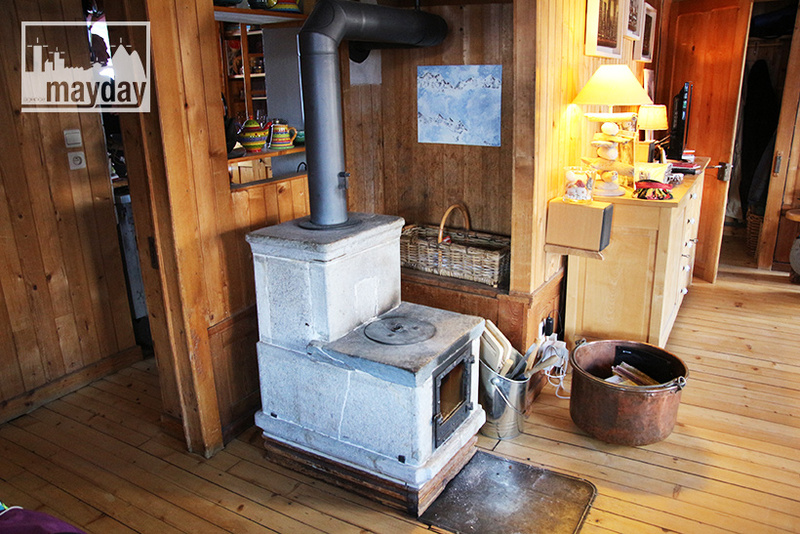 Traditionnal structure : large main room of 35 sqm with an ancient stove, bedrooms upstairs. 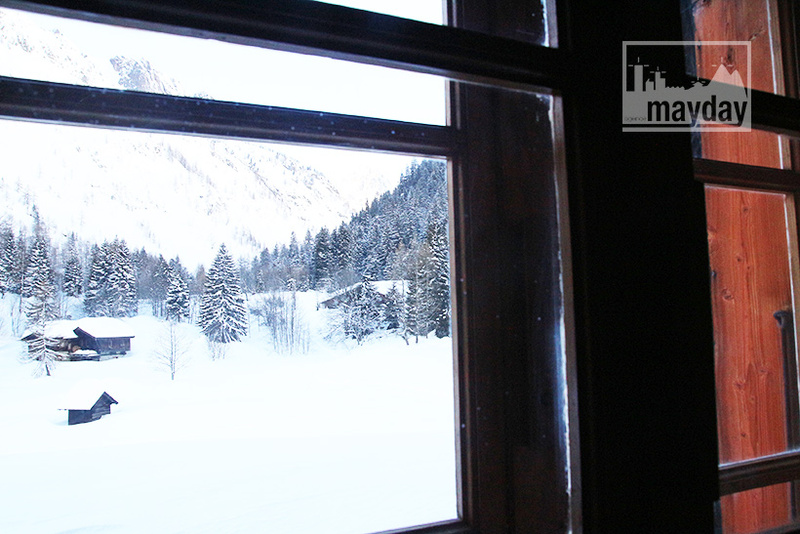 All its inherent materials are representative of the montane habitat : wooden beams, wooden walls and brightness. 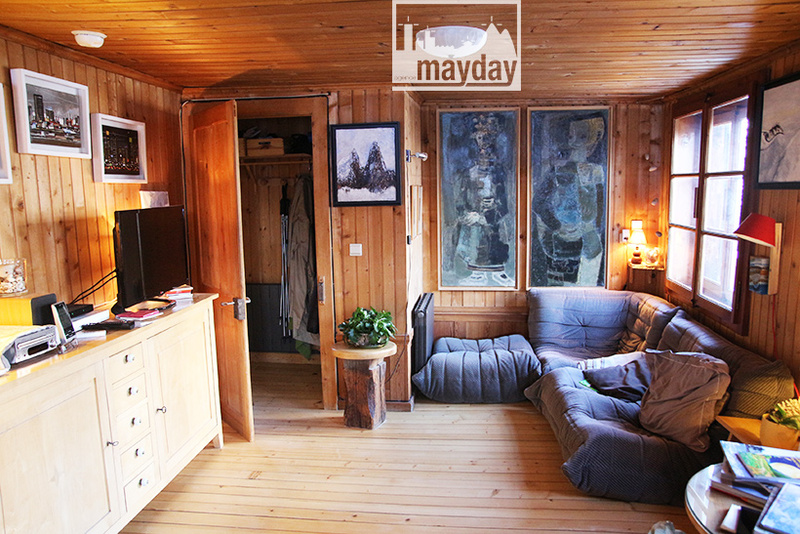 2 cosy rooms and an office. 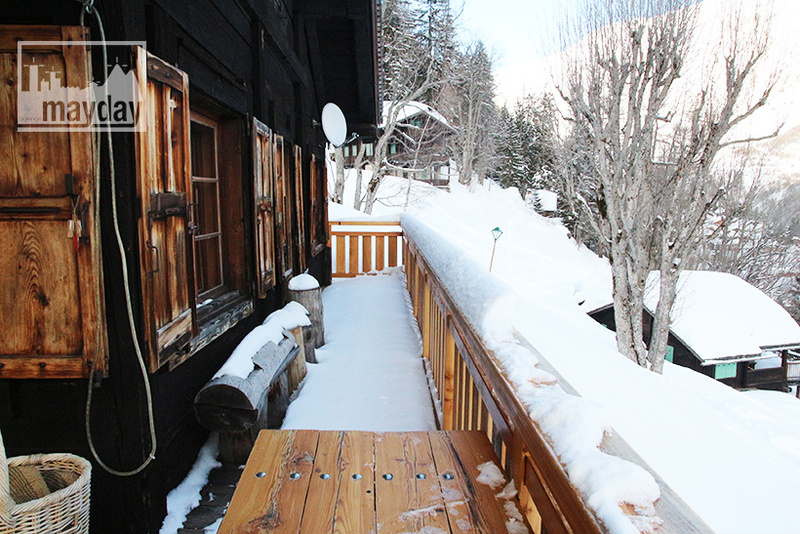 All the rooms have a special view over the mountain. 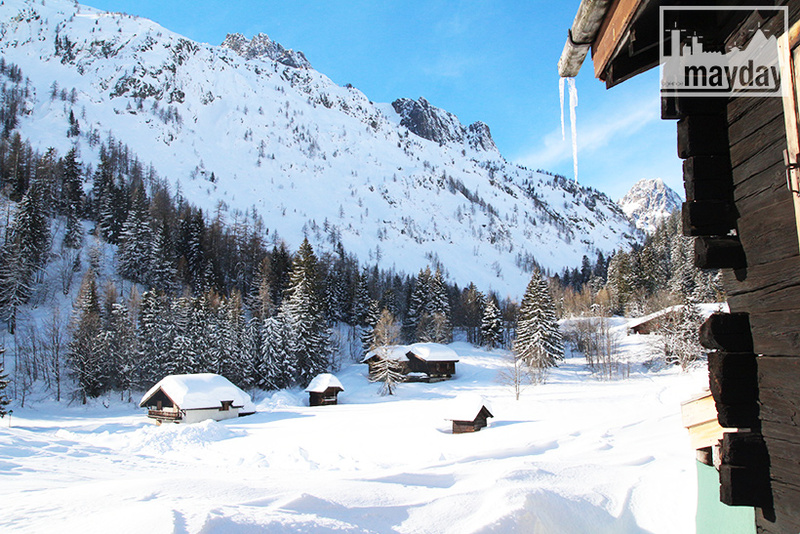 A magical location.